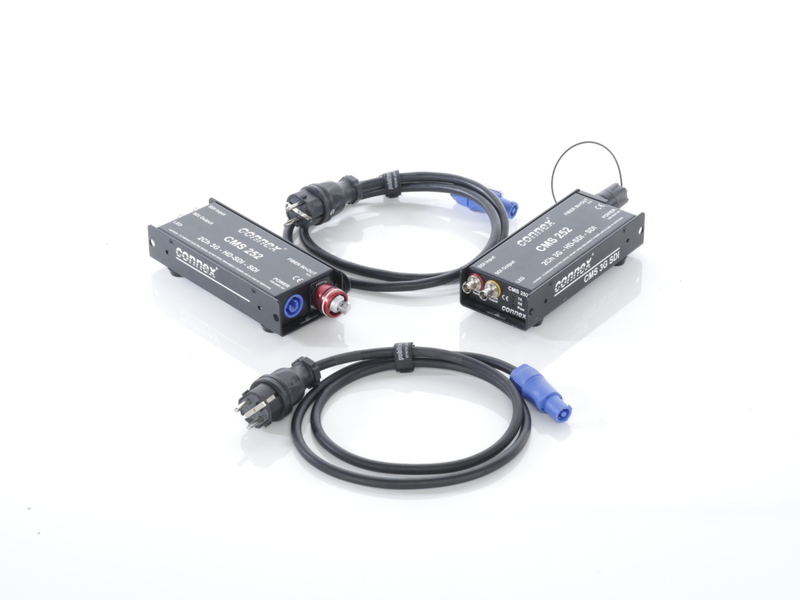 The proFibre 3G-SDI set of the CONNEX brand is an optical transmission system consisting of two 3G-SDI extenders and two Schuko plug adapters. The high-end system for the transmission of digital image signals is HDCP-compatible and transmits both EDID and the DDC bus transparently and bidirectionally. Problems caused by fibre-optic hybrid systems in case of long transmission distances become a thing of the past. The components transmitter, receiver and pre-assembled fibre-optic link can be combined in any way you like to create the right system for your requirements. proFibre prevents the most frequent failure causes of optical systems in tough continuous operation and offers you long-term investment protection thanks to its robustness and versatility.